This article originally appeared on the Text Control blog. Using the ADO.NET Data Provides from our partner company CData, you can easily connect your applications to Google, QuickBooks, Salesforce.com, and SAP. We fully integrated CData support into TX Text Control Words, the Text Control Reporting template designer. All installed CData data providers are automatically listed in the Select Data Source wizard. In this quick tutorial, you will learn how to use an Excel spreadsheet as a data source for a TX Text Control report using the CData ADO.NET Provider for Excel. In the same way as for Excel, all supported CData ADO.NET or ODBC data providers can be used in TX Text Control. 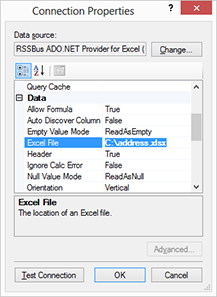 Download and install the trial version of CData ADO.NET Provider for Excel. Start TX Text Control Words and click the Select Data Source button from the Mailings ribbon tab page. 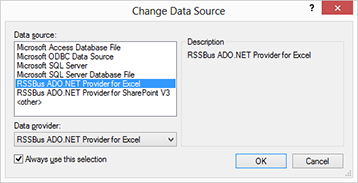 In the opened dialog box, select CData ADO.NET Provider for Excel and confirm with OK. In the next dialog, find the Excel File property and insert your Excel file path as the value. We prepared a sample Excel file for your first tests. Confirm with OK. 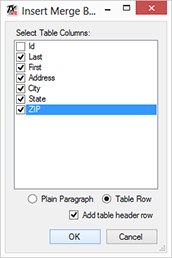 Select Sheet1 from the Insert Merge Block drop-down button. In the opened dialog box, select some table columns, check the checkbox Add table header row, and confirm with OK. Choose Preview Merge Fields from the Preview ribbon group and confirm the opened dialog with OK. 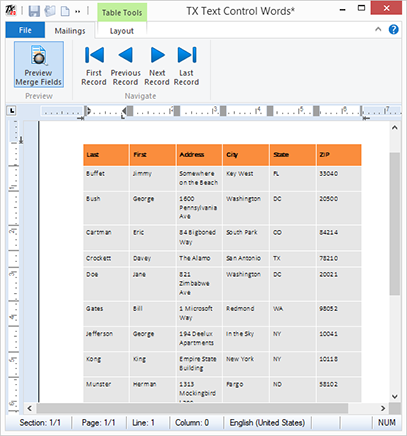 Using TX Text Control and CData data providers, you can easily create powerful reports from many data sources such as SharePoint, QuickBooks, Facebook and Microsoft Dynamics.